There are differences, but the grill, hood ornament, and distictive doors are the same. 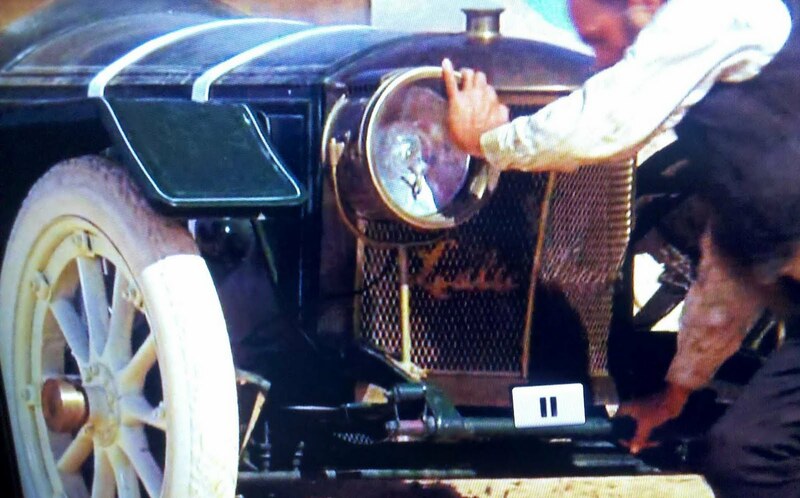 The Leslie Special was made for the movie "The Great Race" and is not a vintage real car, it's a custom built to look like the Thomas Flyer that won the 1907 Paris to Peking race http://justacarguy.blogspot.com/2010/08/winner-of-1907-paris-to-peking.html . 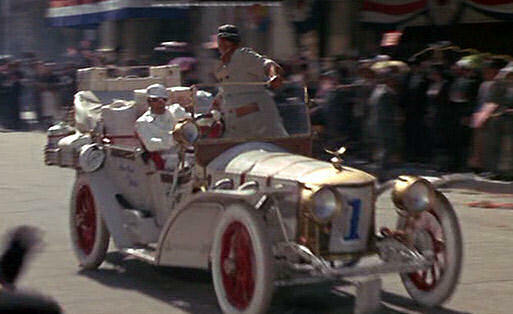 According to Wikipedia, The hero's white car, named the "Leslie Special" was specially built by Warner Brothers to resemble a Thomas Flyer, the car that won the 1908 New York to Paris Race. According to the Petersen Automotive Museum, four "Leslie Specials" were built. 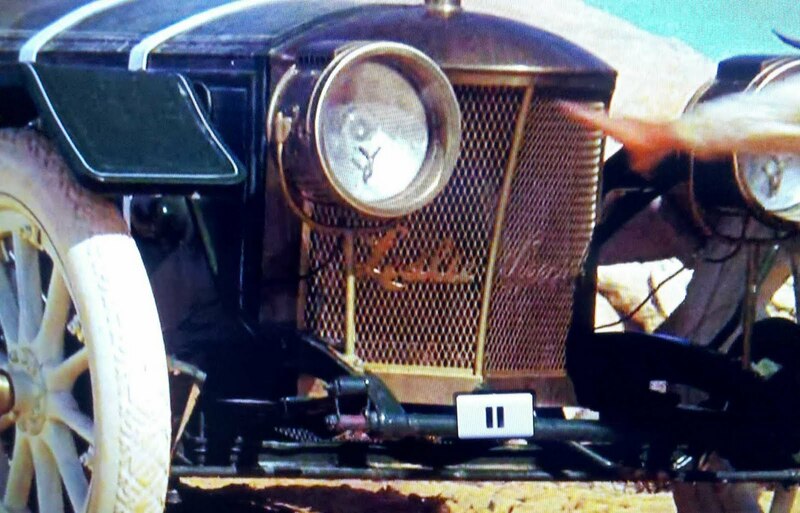 One of the four appears painted green in the 1970 Warner Brothers film The Ballad of Cable Hogue—the grille can be seen bearing the words "Leslie Special". Another of the four is at the Tupelo Automobile Museum in Tupelo, Mississippi, listed as a 1963 Leslie Special Convertible. 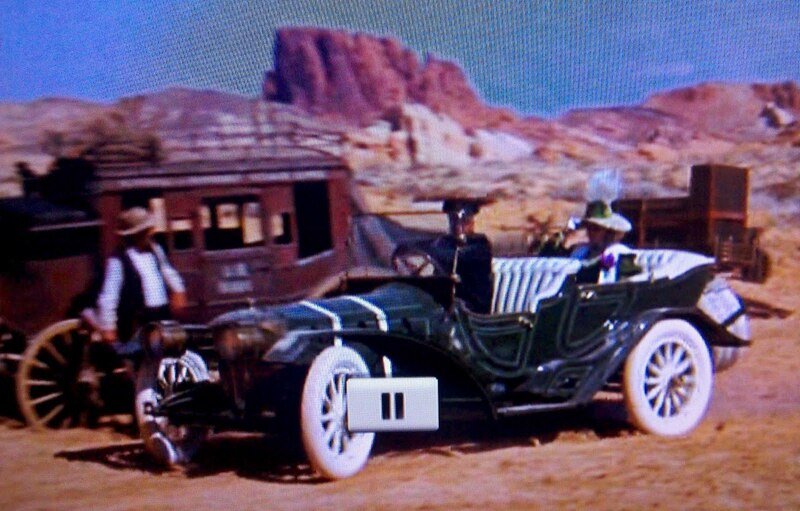 Both movies are Warner Brothers Pictures, and that makes it more possible that its the same car... what else would a movie company do with a movie car after the publicity is over for the first movie it was featured in? but I was really surprised to discover this famous car isn't mentioned to have been in a 2nd movie anywhere on the internet. 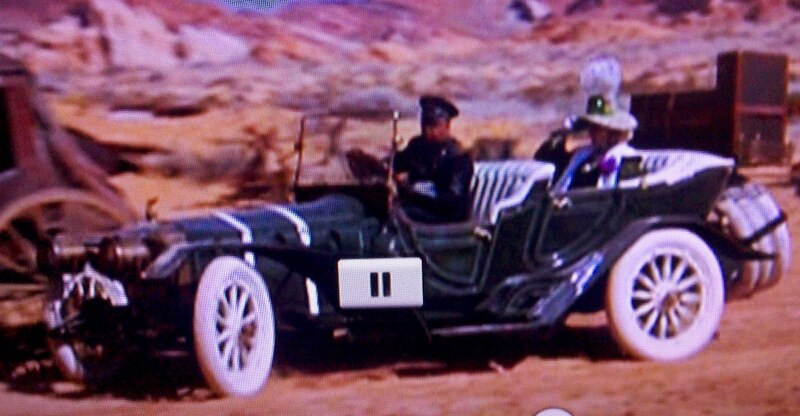 But it is undeniably the same car painted green, and until now, nothing was on the internet about it. 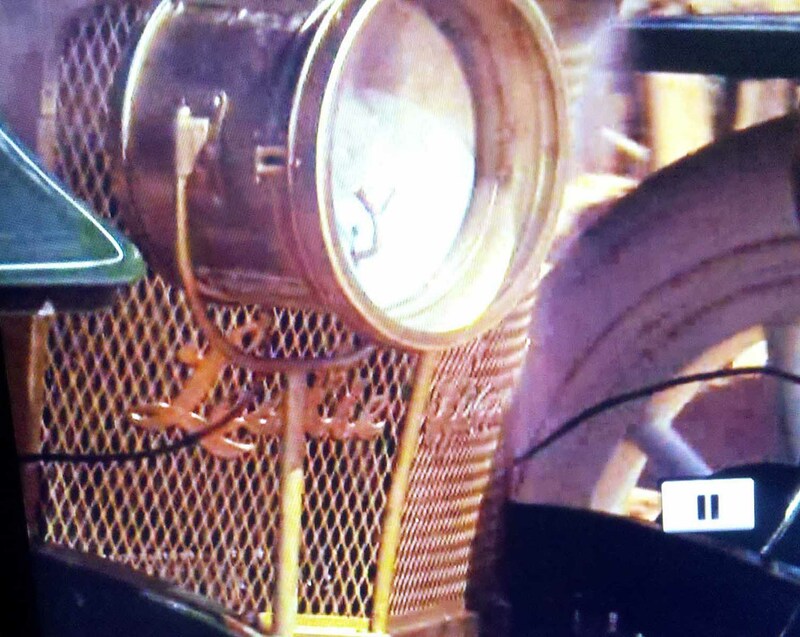 Awesome that they didn't even take the Leslie Special letting off the grille. I know a guy who owns one. He says 3 of the 4 were stick and one was auto. As Tony couldn't drive stick he drove the auto. This guy owns the auto. He carries Santa in the back seat every year in the town Christmas parade. Wow! What a great find! 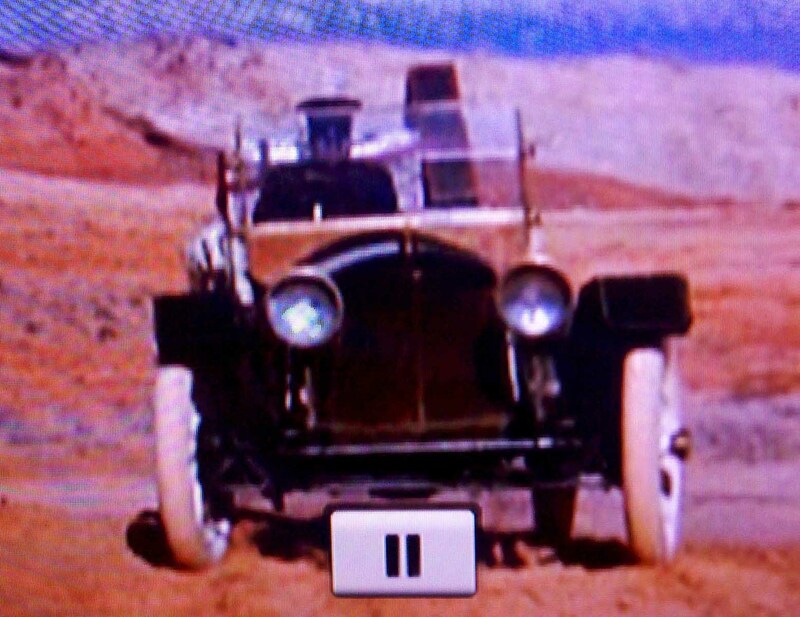 I do believe Professor Fate's car, the Hannibal Twin V8, was used in a 1977 movie, Charge of the Model T's. So I guess they got a little extra mileage. 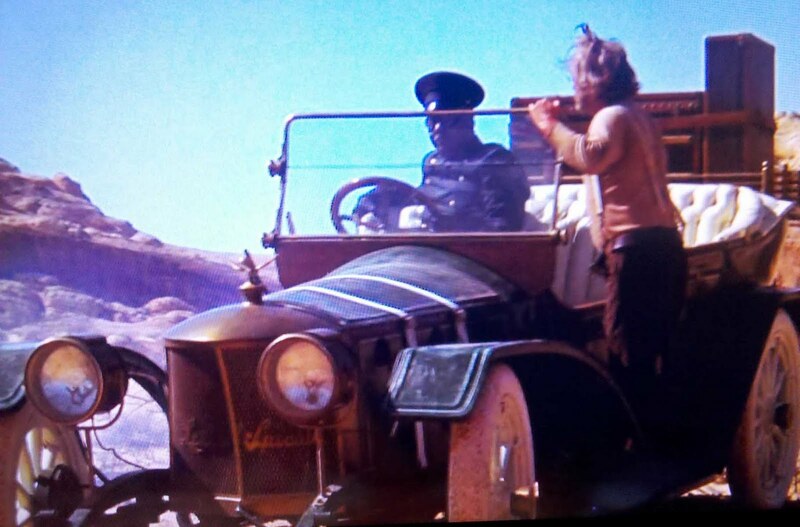 Today I saw for the first time the movie The ballad of Cable Hogue and I jumped on my armchair exclaiming "HEY… BUT THAT… IS THE LESLIE SPECIALLL!!!" Remebering to have visited some years ago you blog, I run here to control and now on Wikipedia I've just inserted your link on the page of that movie. 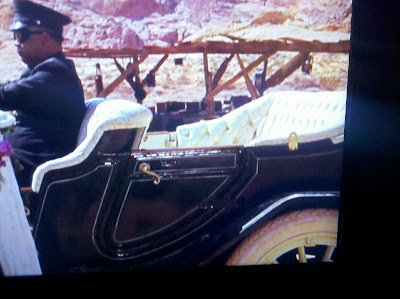 But now I did noticed something bizarre: did you see where Tony Curtis keeps his feet? And particularly the right one? 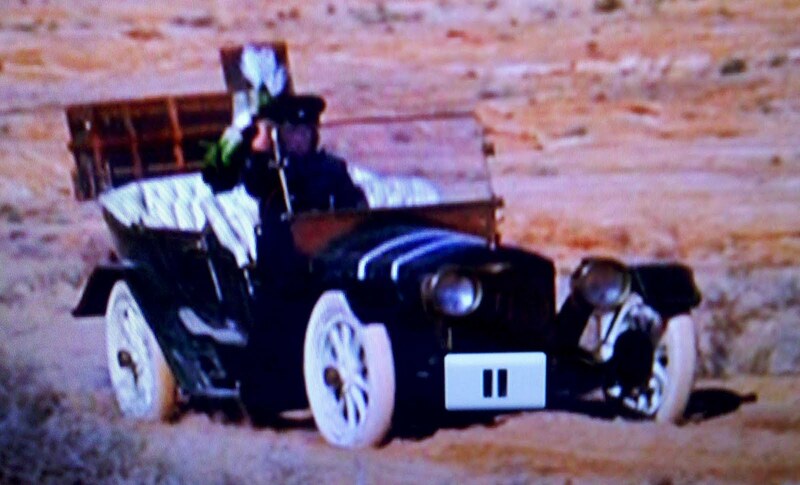 On the accelerator pedal? Not a all! Glad you remembered my post, and that you enjoyed the find of the Leslie Special.. I hope you've continued to enjoy my site, and old car movies! I didn't notice Tony's feet, I was busy snapping photos to post... Did you see that I found the Leslie Special in another movie also? There's another obscure movie out there where the Leslie Special briefly appears. A TV movie of the week as I remember with a late teenaged Jay North "Dennis the Menace". 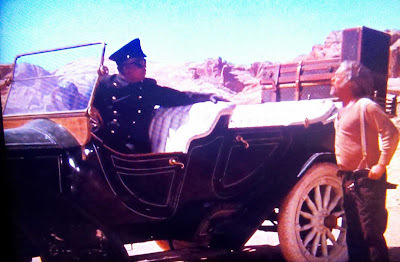 A turn of the century western with cars and horses, Jays character is pursued by bad guys. At one point he grabs a car. I saw it was the Leslie Special as soon as I layed eyes on it. It was painted a dull black brass and all. Dirty and beat up looking. 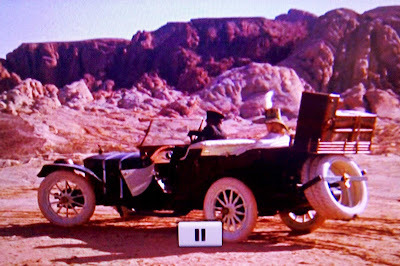 Jay struggles to drive through dessert looking scenery. 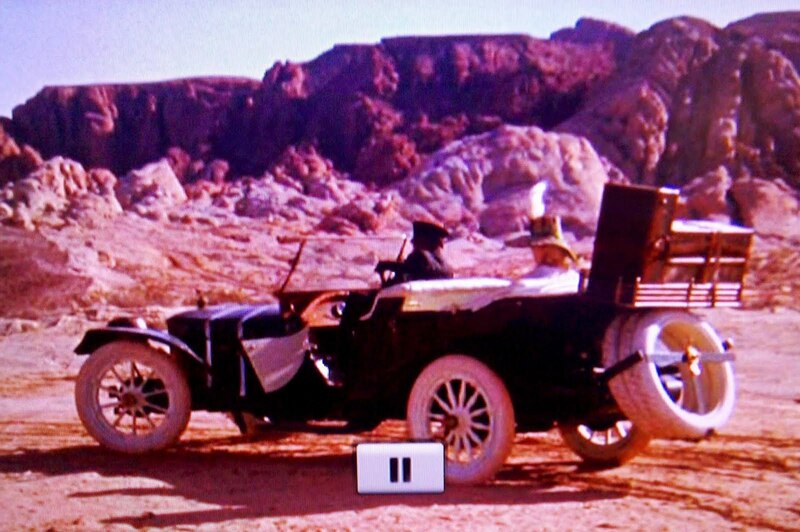 He crashes the car into a dirt berm. There's a close up shot of the grill. A fire starts behind the grill work. The flames silhouette the black Leslie Special. The shot pulls back. 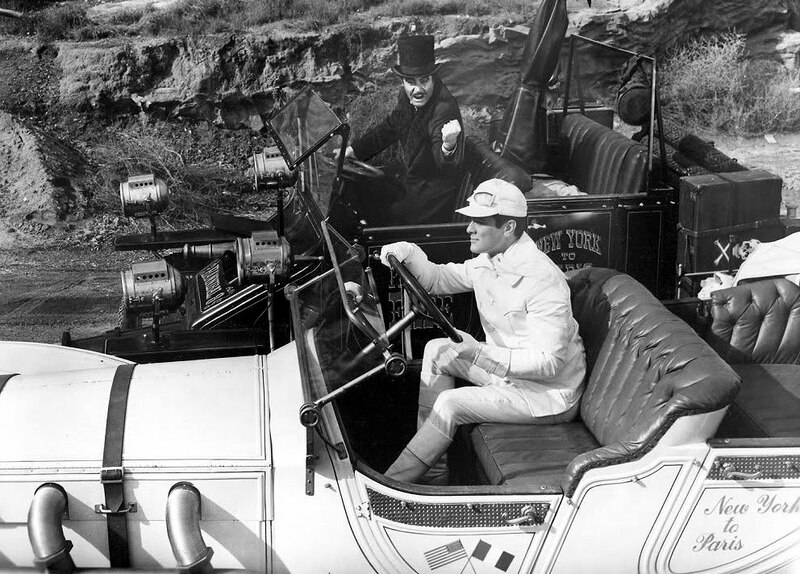 You see Jay kind of stunned behind the wheel. He gathers him self and abandons the car. Never see it again. I can't find any info on this movie. I know I saw it. 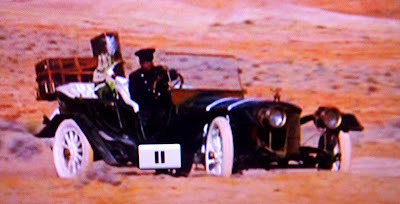 I remember thinking what a terrible end the that beautiful automobile from the Great Race. I hope my description jogs someone's memory of the title of the movie.